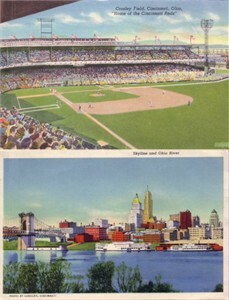 Postcard size photo of Crosley Field (former home of the Cincinnati Reds) produced in the 1940s. 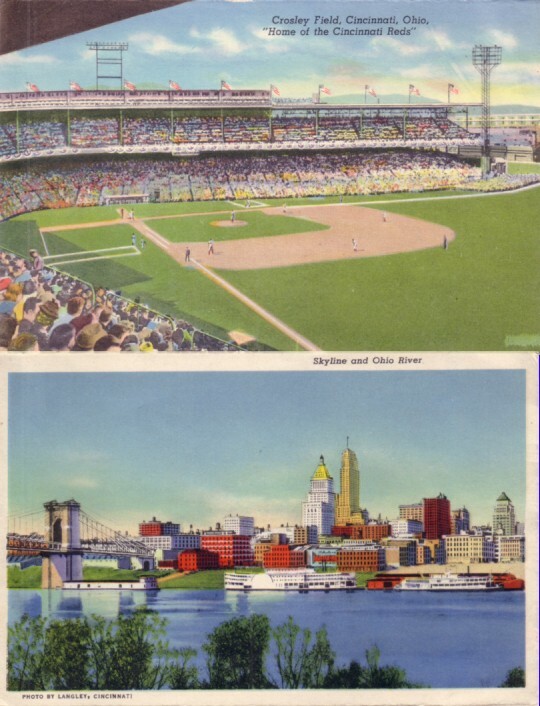 This was one pane of a double sided foldout postcard booklet; the reverse side shows the Cincinnati skyline from that era including Carew Tower. HAS VERY MINOR WEAR. ONLY ONE AVAILABLE FOR SALE.